The British had sought to build ‘THE second city of the Empire' right here and it is this 'building' that we'll show you in the course of our walk through the 'European' areas of what was once the capital of the British Empire in India. There are major plans on to beautify and restore this heritage site with its rich and varied architectural styles. 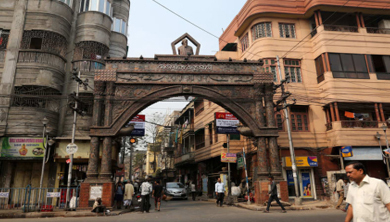 One of our most popular walks this serves as the perfect introduction to British Calcutta and gives you a sneak peek into what went into the making of the Colonial Capital of India. So prepare to whet your appetite for all things Raj. Early Morning Flower Market Visit. you'll see whole sellers arrive with huge consignments of flowers that are then auctioned to retailers. Many workers live in makeshift shacks, bathing in the river behind from a ghat with sunset views of Howrah Bridge. At around 7am, local wrestlers practice their art on a small caged area of sand set slightly back from the river. 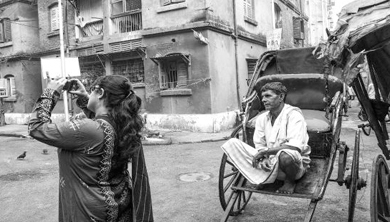 Food Tour of Old Kolkata. You get to experience some of the best food in the world at a fraction of the cost that you’d pay anywhere else. 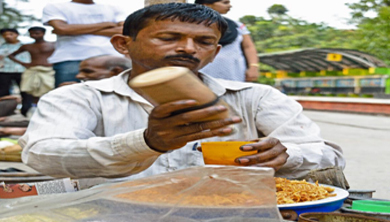 While some food items developed indigenously most have been brought it by the many settlers who came in attracted by the prosperity of this colonial city. Without further ado let’s plunge in and find out the best available street food in the city and the many locations and outlets that will leave you craving for more. From the famous Kati rolls, a unique Calcutta style wrap, to street side masala cha, from varieties of fried fish to the unending list of delectable sweets. The range that you will experience will be a delight for all foodies .Depending on where we go the tour may include a taste of: Jalebis, Soota Kababs, Dahi Papdi Chaat, Gaathia, Dalpuri, Chai, Chilla, Chowmein, Bhel Puri, Jhaal Muri, Puchkas, Pao Bhaji, Shinghara, Aloo Puri, Fish Fry …. And so on. Evening Cruise with Dinner at Hubli River. Our river is the Hooghly, a tributary of the Ganges. And if it weren’t for that test flight at Kitty Hawk, you probably would’ve sailed down this waterway to our city. 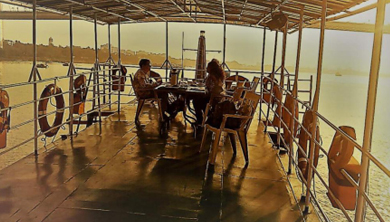 Take a breather and join us on a river cruise. Take in the glory of the setting sun on our river Hooghly, while sailing upriver to Belur Math, the international headquarters of the Ramakrishna Mission and Dakshineswar, a unique Kali temple. Includes the company of an Explorer with snacks and tea on board. Later also enjoy dinner onboard. 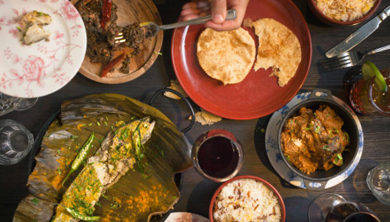 Bengal is a foodie's paradise and more so Calcutta, where various adventurers have left their gastronomical imprints. We take you through an experience not easy to forget. especially because of the satiating burps afterwards. A walk through the market will familiarize you with the ingredients that go into the making of some of authentic Bengali food and we follow that up with cooking demonstration by either a regular housewife or by the owners of the finest restaurants of the city. Always followed by authentic Bengali sweets - a good enough reason to be on this tour. Start your journey at 8:00 AM with the Hotel Pickup in a private AC cab and drive to different streets of Kolkata. 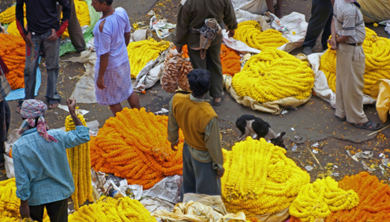 First Visit the Flower Market, one of the largest in India. The Market over here provides a paradise for street photographers with all the action and scenery of this market. Our Next stop known as Sudder Street is famous for tourist and backpackers due to its abundance of cheap hotels and eateries. From food carts, pulled rickshaws, Ambassador taxis, street vendors, cows, goats, smells, colors, and people everywhere you look. It’s never boring around Sudder Street. Next, drive to the College Street, home of the largest second hand book market in the world. Small colorful book stalls line the streets for just under a mile. Later as we head for our lunch, click the streets sitting in the car on the way to the restaurant. After Lunch, we move to the Park Street, Lined with cafes, restaurants, bars and shops, it’s more upscale here than the rest of Kolkata. Next we drive to our last destination for the day known as Queens Way/Victoria Memorial; The Victoria Memorial is a large marble building on Queens Way that was built over a century ago in dedication to the memory of Queen Victoria. Now it’s also a museum, but the reason you should come here for Street Photography isn’t for the building, but for the 64 acres of grounds and gardens surrounding it. At the end of the tour, Get dropped back to the Hotel.